As a college student, sushi is a luxury that I cannot usually afford, unless it’s from the GSU, our student union. 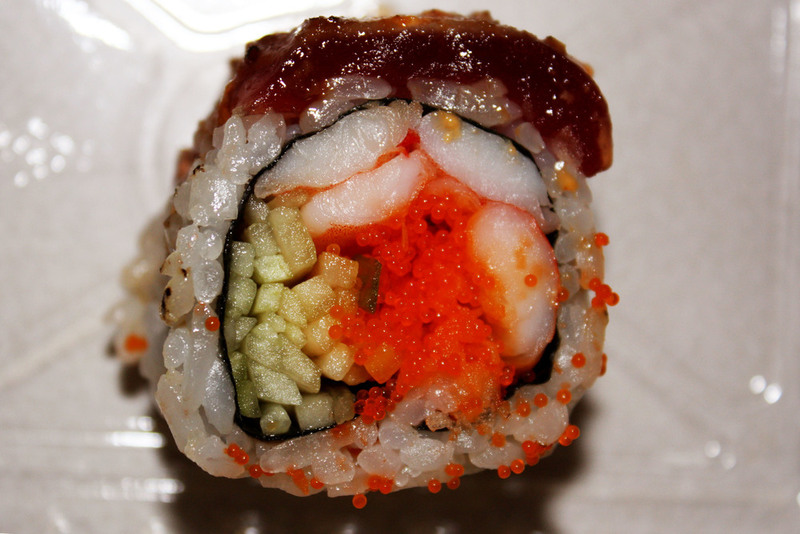 However, because sushi is one of my favorite foods, I am always on the lookout for affordable places to eat it. 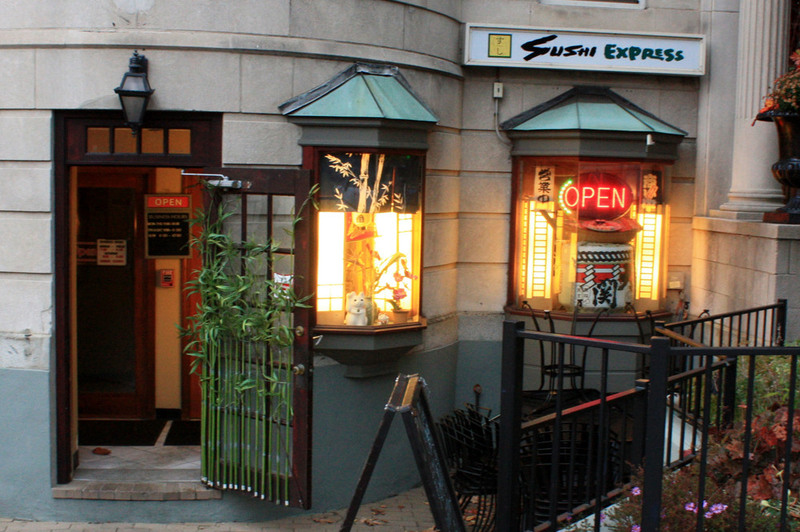 Sushi Express, located on Beacon Street in South Campus, is one of these restaurants. On the outside, it is a cute, little joint with a pretty garden that shares its front door with a dry cleaning business. There is a small patio for outdoor seating, although it was too cold to enjoy it when I was there. The interior is homey and makes you feel welcome. I came to review Sushi Express on a quiet Sunday afternoon, and for most of my visit, I was the only one in the restaurant. I never felt rushed and I was never pestered by the waitress, rather she was very polite and only came by when I needed something. The menu has a wide variety of both raw and cooked sushi, along with a few appetizers and hot entrees, accommodating for a wide variety of tastes. There are several choices of creative sushi rolls (maki) that you can choose from, as well as nigiri. However, if you are less experienced in eating sushi, there are still the standard avocado and California rolls. If you come for lunch, Monday through Saturday, you can choose from a selection of sushi lunch combos, which come with miso soup and a house salad. If you are going for the first time, I recommend the Boston Maki and the Fujisan Maki, both $10.50 for eight pieces. The Boston Maki has shrimp, tobiko (flying fish roe), cucumber, and tempura flakes on the inside of the roll, and is topped with a layer of seared tuna and sesame garlic sauce. It was absolutely delicious, and searing the tuna adds an extra flavor that is not there if the fish is raw. The Fujisan Maki has salmon, avocado, tobiko, and tempura flakes inside, and is topped with a layer of spicy crab stick and grilled squid. This one has a bit of a kick, but the flavors all blend together perfectly. Everything tasted fresh and the two rolls were more than enough for one meal. Sushi Express has great value for a decent price, so you can have the sushi experience without breaking the bank. They also deliver, making it even more convenient for students. 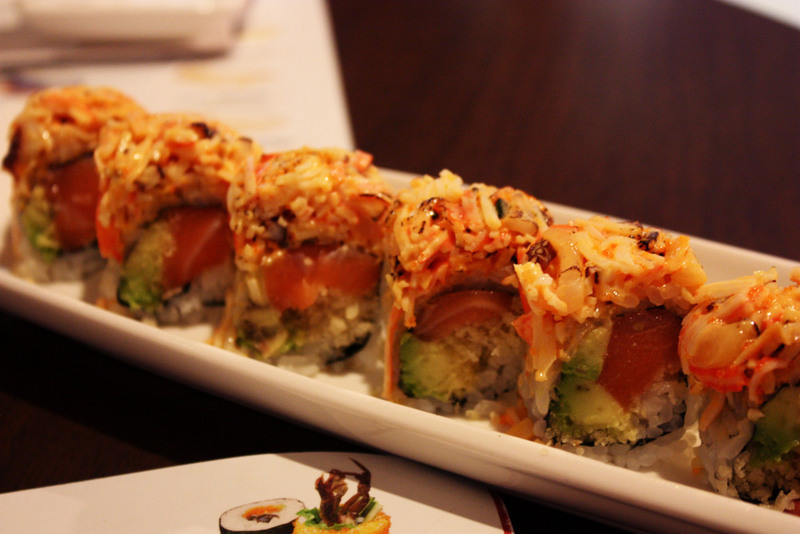 No matter what your sushi tastes are, you are sure to be satisfied at Sushi Express.